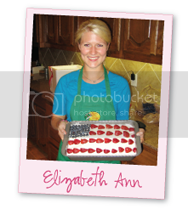 Elizabeth Ann's Recipe Box: OBSESSED with my slow cooker! 0 OBSESSED with my slow cooker! We received this beautiful slow cooker for our wedding and I cannot cook enough with it! 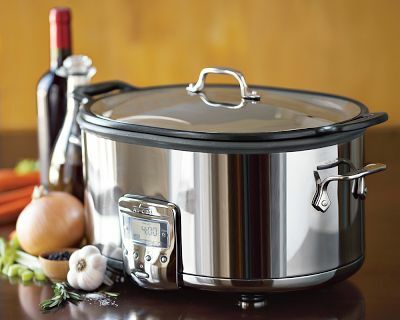 If you are in the market for a slow cooker then THIS IS THE ONE to buy! The 7 quart. nonstick aluminum insert goes from stovetop to slow cooker to table. SO you can brown your pot roast in the insert then put it in the slow cooker THEN put it on a pretty trivet on the table to serve!!! Pretty incredible! I will post some slow cooker recipes that I have tried that have turned out amazing BUT first I had to brag on the new staple in my kitchen!